When it comes to most smaller releases on the Xbox One, I like it more going into them not knowing what to expect or what I'm going to get out of it. This game is one of those games. I saw a tweet, asked for a review code, and here I am a few weeks later wondering what the hell I did that for. 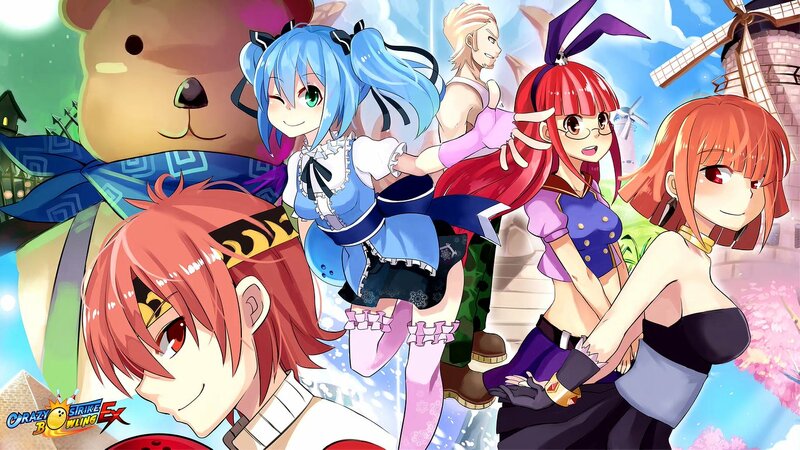 Bowling games are somewhat on the light side when it comes to console games. The only ones that spring to mind when thinking back for games like this all feature memories of a Christmas gone by and playing a Kinect Sports game with the kids. In the case of Crazy Strike Bowling EX, this isn't even available on the UK store just yet, with it only available on the American store for $12.99. 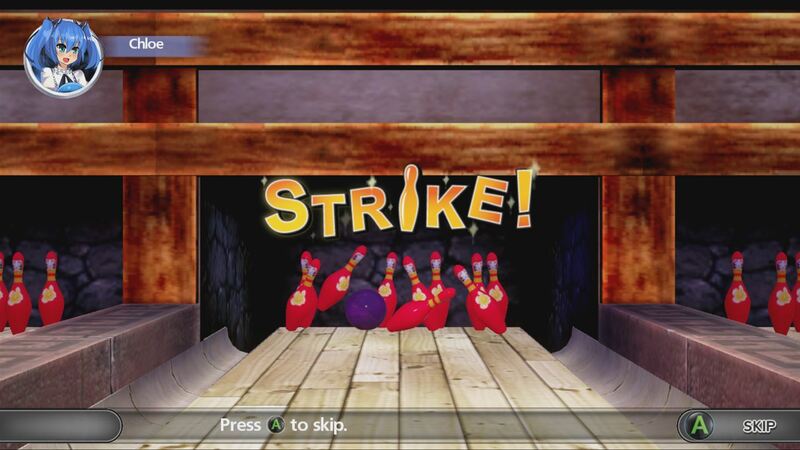 So for those for whatever reason want to play a bowling game without a Kinect in the UK you are still out of luck. Loading this up I felt like I was loading up a Wii game or a very old game on my 360 (and that's being kind), with the game having the look of one of those old games you see in an arcade when a family run fair comes to town. You know, they still charge a pound to play it like it's the latest game out there. Crazy Strike has the whole Anime thing going for it, with a bunch of modes to play that all require a bowling ball in some shape or form. Classic Exhibition, Crazy Exhibition (read the word crazy as putting objects on the bowling lane. Mental, I know), Challenge, and Battle. I could talk about these modes if I wanted to, but the simple fact is I would be wasting both our times. You see Crazy Strike Bowling EX is just not very good if we are to cut right to it. 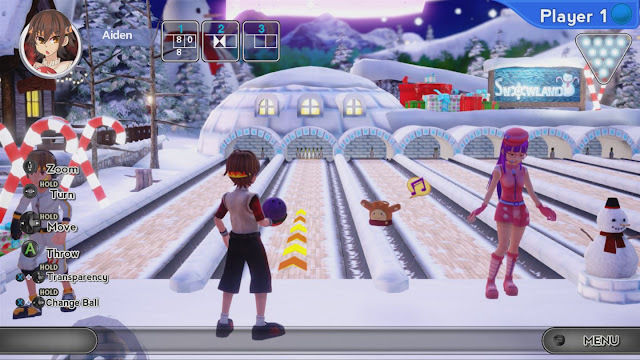 Dated visuals and sound and the main portion of the game (that being the bowling) is just a dull thing to actually sit down and play. All this requires is lining up your shot with the d-pad and pressing the a button a couple of times, only missing the accuracy by just a tiny bit will see your ball fly into the gutter of the lane or hit one pin either side. Also, just when bowling the game seems to randomly decide if a pin should fall over. I've found myself hitting pins full on dead centre and had a pin behind the one I've hit just stand there like nothing happened, making it very frustrating indeed. Overall: Short review, I know, but if you take anything from this review let it be that Crazy Strike Bowling EX isn't worth the $12.99 it's being sold for. Not the best representation of the good games available on the Store... Re-Releasing a PS2 bowling game was maybe a bad idea from the start!